Conveniently located between downtown and Clarksville, Midtown Austin offers daycare seven days a week. We take dogs of all kinds and sizes. 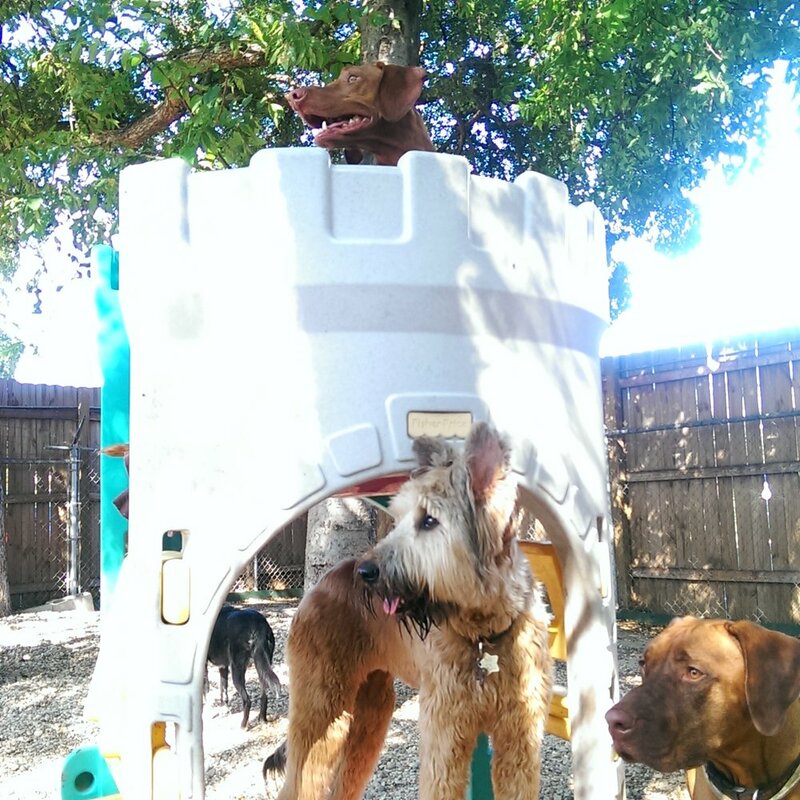 Play groups are largely based on size, age, and personality of each of our dogs. Midtown offers overnight boarding 365 days a year as your dog’s home away from home. All dogs boarding at Midtown enjoy more than 8 hours of playtime every single day of the year, rather than being confined to small runs most of the day. Our special environment will leave your dog all tuckered out at the end of their stay, so that you can enjoy a calm household when you return from your trip! Midtown offers daycare seven days a week. We take dogs of all kinds and sizes. Midtown Austin offers grooming services Monday through Saturday by appointment, with walk-ins based on availability. Prices are based on breed, size, coat condition, temperament, and services requested. Contact us to set up an appointment or call us at (512) 477-8079.